A few year’s ago my friend Dorothy served maple prunes soaked in whisky to go with our meal. When my friend Bev sent me a recipe for ginger cake containing prunes, I knew exactly which ones to use. 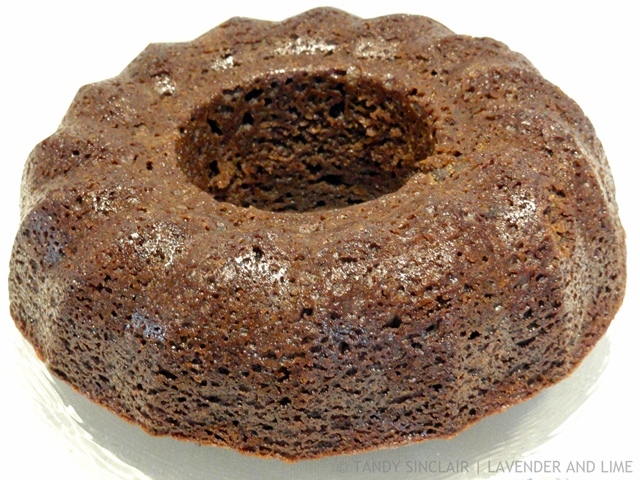 This recipe for maple prune cake is an adaptation that I think can be served as is. Or with custard for a dessert. I am usually very good at making sure that I protect my hands with oven gloves. The ones I have in my kitchen offer a little more style than substance. While testing out a bread pudding recipe I managed to burn my fingers. Dave calls the oven gloves “hands” and basically it felt like my own skin was touching the hot dish. In a way, the burning became habitual. While washing dishes I managed to pour boiling water over my left hand, rather than down the wine carafe. Usually I put a few drops of lavender essential oil directly onto the burn. It prevents blisters and I even travel with a bottle for emergencies. However, for the water burn I had to resort to using Burnshield. This contains Tea Tree essential oil which is another great all-round product I keep close by. It took several applications to soothe the sting on my fingers. It also took me several attempts to get this cake perfect. And I really did not mind at all. The cake is super tasty, super moist. And to quote Not Quite Nigella, super pushy! I served the first version as dessert for when we had guests. And then Dave and I polished off the rest of the cake the following day. I changed the recipe from what I had been sent and made it again on the Tuesday. And like my treated burns, it did not last long! Do you ever make pushy recipes when you read them on a blog? Thank you, Tandy, for this lovely recipe. I didn’t know lavender oil could be used to help burns! I was teaching a cooking class the other day and got the fry pan out of the oven, did something else then came back and picked up the handle lol. I wish I knew about the oil then! God to be back to find this beauty. Thank you, dear Tandy ! ooh i love prunes! they’re so sweet and chewy (: i haven’t baked with them ever, so this looks super interesting to me! (by the way, you might want to check your recipe plug-in; it’s looking super wonky for me. i see the picture 6 times and no recipe. i’m on chrome on a pc. hope you can get it fixed easily!). Buring while cooking/aking is no fun. I didn’t know that essential oils can prevent blisters on the burns. I apply cold yogurt or soy sauce, they really help. 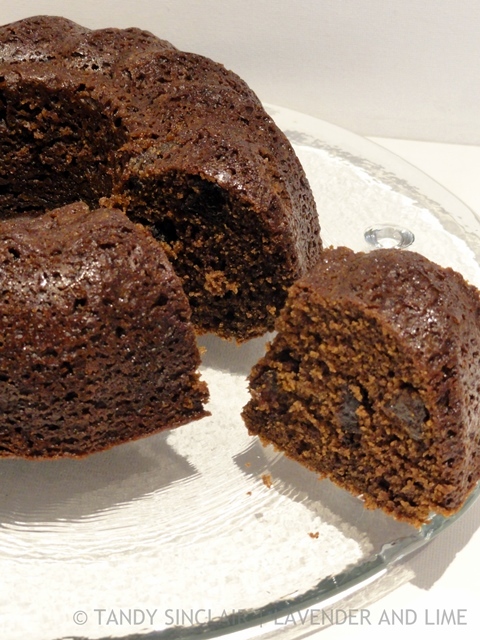 This maple prune cake looks absolutely delish, I am sure it tastes wonderful. Soy sauce is a new one to me! What a lovely cake Tandy, I can see why it disappeared so fast. We have aloe vera plants all over our yard in AZ so usually I use them if I have a burn myself, will have to check out the lavender essentials. I need to plant some aloe vera! This looks really nice, TAndy. Thanks Robbie. And thanks for sharing on Facebook.